By the time this is published, the deadline to veto the recently passed office holder account ordinance will have passed and it will have become law. The ordinance allows council members, the Mayor, City Prosecutor, City Attorney and City Auditor, to raise funds for their "office holder accounts" and then to contribute those funds to other political campaigns. Mayor Robert Garcia should have vetoed this very bad law, but he didn't. The Long Beach Campaign Reform Act was the brain-child of the Long Beach Area Citizens Involved (LBACI that also moved the City to form council districts instead of electing council members at large. The Act has several parts including: limiting fund raising to the one year before the election; limiting the amount that a candidate can accept from each donor; and providing a system of matching funds to those candidates who pledge campaign spending limits. The ban on constant fundraising was removed when the City Council allowed "office holder accounts" to be established. The funds from these accounts are used by Council members, Mayor, City Attorney, City Prosecutor and City Auditor to spend on "non-campaign" matters such as constituent events. In 2016, the City Council tripled the amount elected officials can raise each year for their office holder account. That means the Mayor, Attorney, Prosecutor and Auditor can raise $75,000 each of the four years they are in office for a whopping $300,000. Elected officials have two means of raising money from voters and special interests: they can solicit campaign contributions in only the one year fundraising cycle before an election and on a year round basis to fill their "office holder account." City Council members can now raise $30,000 each of the four years in office for a total of $120,000. A large problem with this new fundraising system, is that elected officials are now fundraising all the time and taking money from donors who are doing business with the City or want to do business with the City. 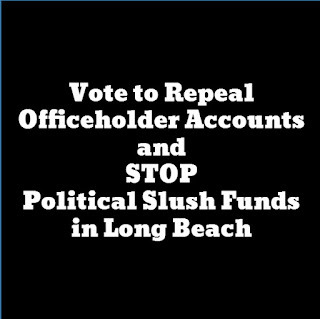 Another problem with massive office-holder accounts is that they can become "slush funds" with no accountability. Most recently, Council passed an ordinance that allows the transfer funds to other political campaigns. So now, without the permission of the person who contributes to help with a Council office expenses, that Council member can turn around and give the money to help another candidate. The situation is even worse than it may appear for the average voter who wants their elected officials to listen to them. In 2010, the U.S. Supreme Court held in Citizens United vs. FEC, that independent expenditures during an election cannot be limited. This means, that while corporations and labor unions cannot contribute directly to a candidate or campaign, they can contribute an unlimited amount to an independent expenditure committee or PAC (political action committee) to support or to defeat a candidate or ballot measure. Many corporations and unions set up "Good Government" Committees which contribute funds to the "office holder accounts." The average voter in Long Beach is not wealthy and does not make large political contributions. Moreover, because the City "reform act" limits the amounts a donor can give to a political candidate (i.e. $400.00 for a council candidate), the impact of that contribution pales in comparison to the unlimited spending that is done on behalf of candidates/incumbents favored by special interests. This gives special interests inordinate clout and power. The power extends to special interests "helping" elected officials get ballot measures passed such as just happened when over $650,000 was spent on "independent expenditures" for Measure A which increased Long Beach sales tax to the highest in the area. 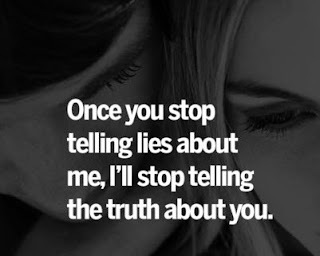 The average voters cannot complete with this type of clout and they are feeling their voice is drowned out in the noise of "year round" campaign cronyism. 2018 is just around the corner and most incumbents on the City Council and or those in City-wide office such as the Mayor, Prosecutor, Attorney and Auditor will unlikely face opposition. By allowing these incumbents to transfer money that should only be used for non-campaign purposes, to other campaigns, is wrong and it is destructive to the campaign finance reform Long Beach has had on the books since 1994. This new source of political "slush funds" was just too tempting; so no veto. 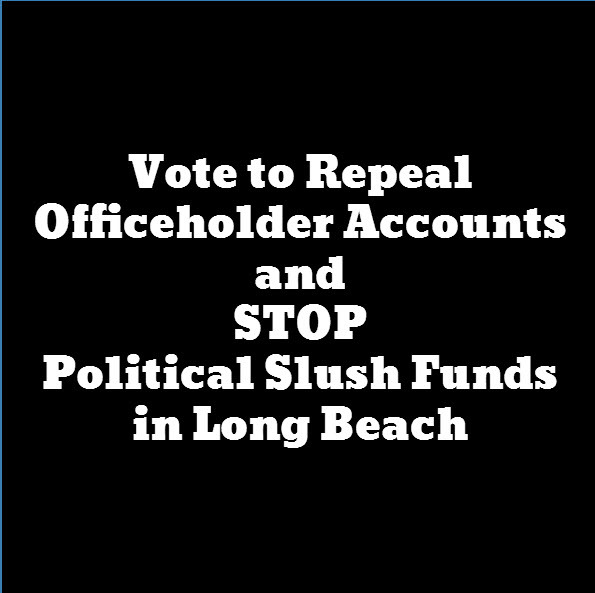 Now it is up to the voters to put a repeal of "office holder accounts" on the ballot. We need to stop year round fundraising so elected officials can do their jobs.